It’s been another busy week for Furry Network – we’ve given out a ton of beta codes, gotten a ton of new users set up on the site, squashed a ton of bugs, and have been working away on getting new features ready for release! We’re working hard to get keys to as many people as possible as quickly as we can – and have been sending them out to people who completed our key request form every single day this week. Obviously we want to get the door open for everyone as soon as we can; the site is developing and evolving quickly in response to your feedback – we know you want in, and we want you in as well. 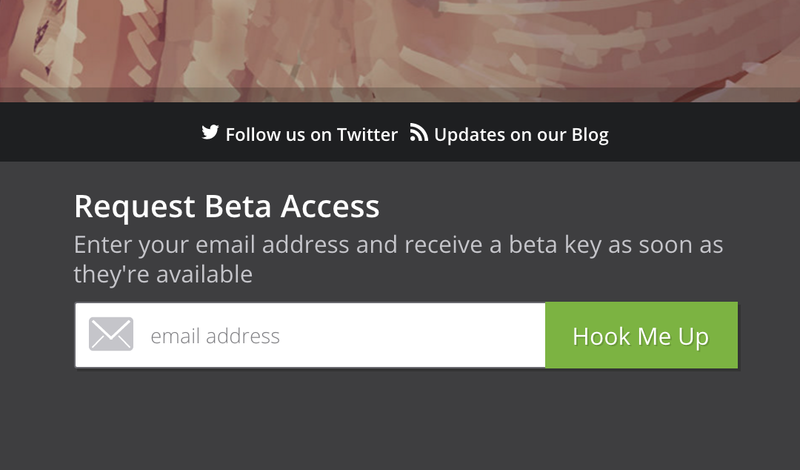 How do I get a beta key? You’ll receive a confirmation email, letting you know we’ve received your request. Our wait time for keys is a few days at the moment – we’re handing them out steadily every day. 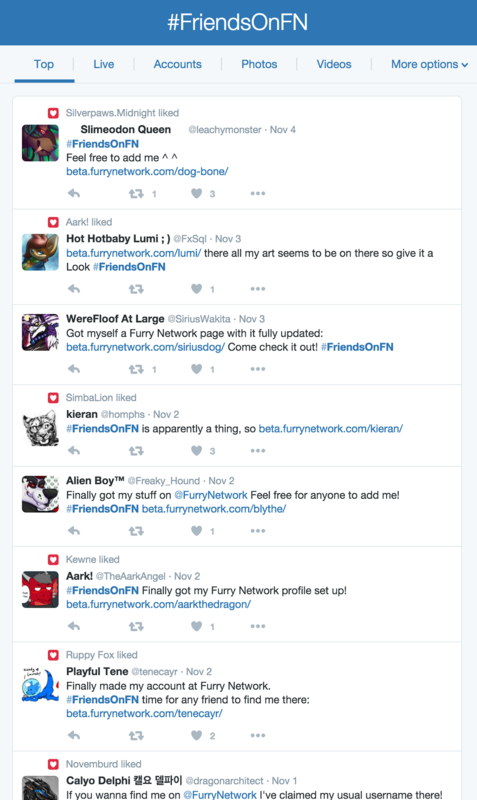 You can get a heads up for when keys go out by following @FurryNetwork on Twitter. We’ve been growing rapidly over the last week – over 53,000 new submissions, taking us to just under 150,000 pieces of creative content on Furry Network. This is a huge flood of content – and we’ve been working hard behind the scenes to ensure the site has room to grow. We’re excited for the future of the site and for what this means for you all – more of your favorite artists posting their works, and more of your friends on Furry Network! If you want to let people know you’ve moved over, consider making tweeting a link to your profile page along with the hashtag #FriendsOnFN, or making a post on the sites you currently use, linking to your profile page, so your friends (and fans) can find you! We’ve been focusing on achieving a healthy balance between tweaks, bug fixes and improvements, and development of new features needed for launch. Over the next few weeks you’ll see some of our ‘known issues’ gradually tackled – and some exciting new features (including Story support) come out as well! The site importer can take some time for your import to go through. Be patient – it queues requests, and it may take an hour or two during busy times for your job to make it to the front of the line. We’re being careful with the rate we hand out keys to ensure that everyone gets a fast import! There are future improvements in the works to make it clearer what’s going on. We’ve also dramatically increased its speed over the last week. Comments, faves and promotes on your own work don’t show up in your Feed currently. This is a bug, not a feature! There is currently no way to delete characters. Of course, we’re working on a fix. Story and Multimedia support for GIFs, video and audio content is coming soon! Once you enter in a username into the import tool, it can’t be changed. A more conventional ‘art feed’ page is needed, to see new submissions in a familiar way. We’re considering some options on this. There’s currently no way to see who faved or promoted a submission, or how many views it has. This will be implemented in a bit. If you have feedback, a feature request, a suggestion or just want to tell us what you think, please use our ‘feedback’ tool shown on the left hand side of every page of the site. These reports get filed and categorized automatically in our bug tracker! Thank you all for being so patient while we work on making Furry Network as good as it can be!